Are you annoyed with the huge amount of customs and shipping charges while shopping from your favourite international websites? Have you ever experienced your purchase getting stuck at the customs after the huge payment you made for it? Well, now there is a web-store that can put an end to all your worries and inconveniences. iBhejo.com is an Indian website that focuses on procuring popular US brands to Indian consumers and delivers the best US products to you and doesn’t claim you excessive amount of shipping charge and you don’t get to fear about your parcel getting stuck at the Customs. 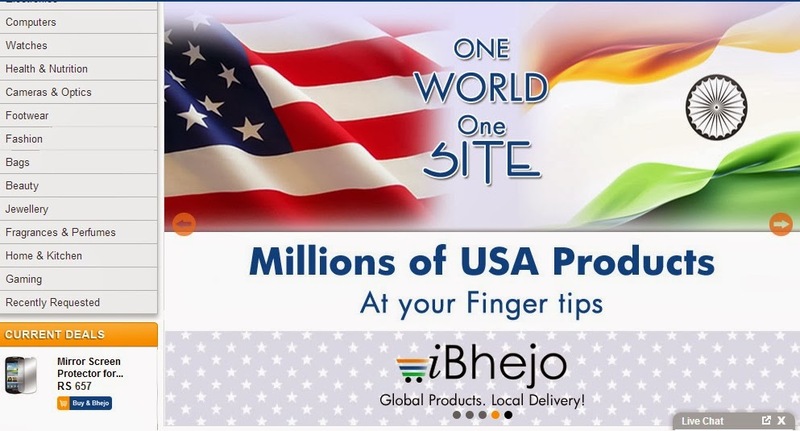 iBhejo.com offers you a hassle-free delivery of your favourite US products straight from USA to your doorstep! iBhejo.com offers you an extraordinary experience of shopping from more than 60 leading US brands such as Seagate, Gucci, Michael Kors, Guess, Chloe, Benefit, Tarte, Lancome, Giorgio Armani, E.L.F. and so on. The prices of the products might astound you at a glance. They might look a bit expensive but when you realize that this is the net amount you have to pay including shipping and Customs fee you will feel elated. 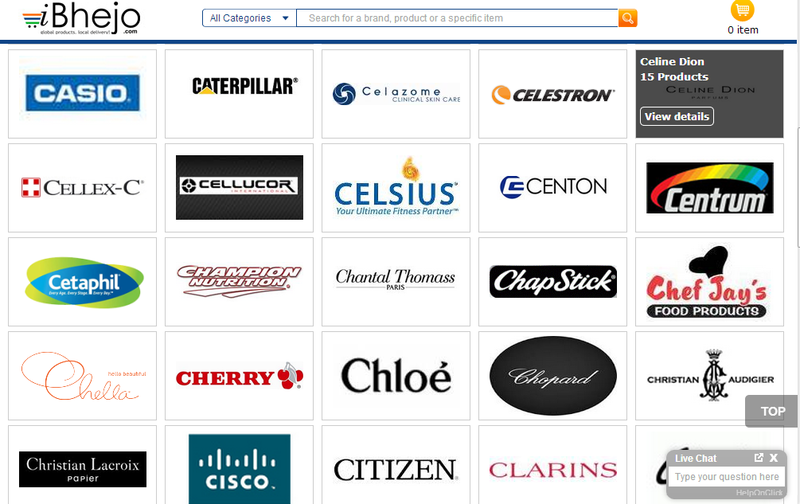 A variety of 50,000+ products in one place. 60+ top US brands to shop from. Products which are not available in Indian market are also offered here. No need to pay for Customs clearing. No need to worry about products getting stuck at the Customs. Tempting discounts are offered every week. All payment modes are available, including Debit cards and Net Banking. Expeditious and cooperative customer service. iBhejo.com offers you an amazing opportunity to order anything from the most desired US online stores that you’ve never been offered by any other website. You can choose from the hundreds of US websites to order from and iBhejo.com will procure your wished products from the US. 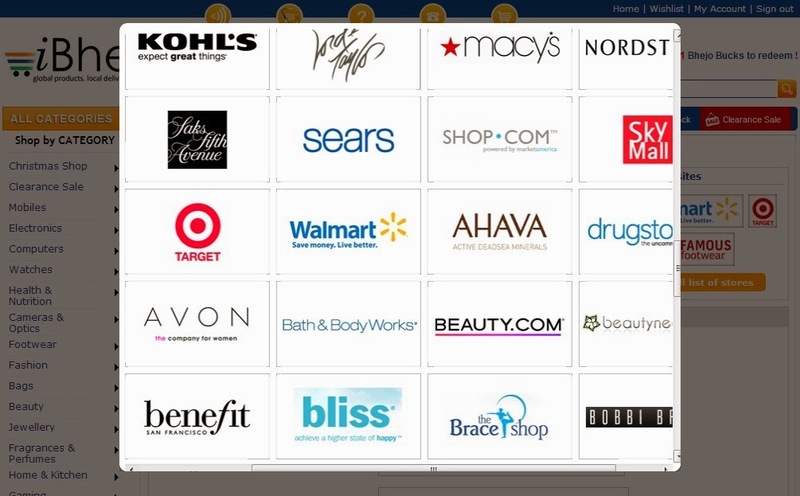 There are Target, Nordstorm, Drugstore, Walmart, Amazon, Kohl’s, Bath and Body Works, GAP, Benefit and many more. You dreams might come true. Like, I have always wanted to have Drugstore here in India, but that might not be possible in near future. So, instead I can order anything from Drugstore with iBhejo.com. This surely is the thing that strikes the chord. All you have to do is just register yourself at iBhejo.com and click on the ‘Request an item from US’ button. They will want you to fill in a simple form and voila! You’re done! Long back in October I was contacted by a affiliate who wanted me to write a review for iBhejo.com and provided me with a voucher worth Rs 1000 to shop from the website and write a fair review for the readers of my blog. Honestly, before that I was unacquainted with the name of the website. Anyways, I visited the website immediately and found a bunch of amazing products available there. I was kind of lost in there among so many US brands. At the first look, I was shocked to see the prices, like Rs 961 for Almay is insane. But when I apprehended that this is all that they claim including shipping and Customs charges then I calmed down and realized how benefited I will be if I shop with iBhejo.com instead of shopping from US websites or other websites like ebay.com or amazon.com. They also gifted me a discount code for my next purchase. I overall like the whole experience and would love to shop with them again if I see any exciting deals. I hope you liked the review. New posts are to be posted soon. Keep reading. Though I was provided with a voucher by an affiliate but my review is totally unbiased regardless of the fact.